Smoothie and Revolver wheels, the Smoothie is based on the two-piece rim Center lines but then in one piece where the rivets that originally the rim parts hold together for the show. The American Center lines is still available in many sizes and can even all the way to your own wishes will be manufactured or custom made what, of course, a price tag. For those who are not in possession of this budget required or not to want to spend but the clean lines of the love Center lines there is the polished alloy Smoothie. 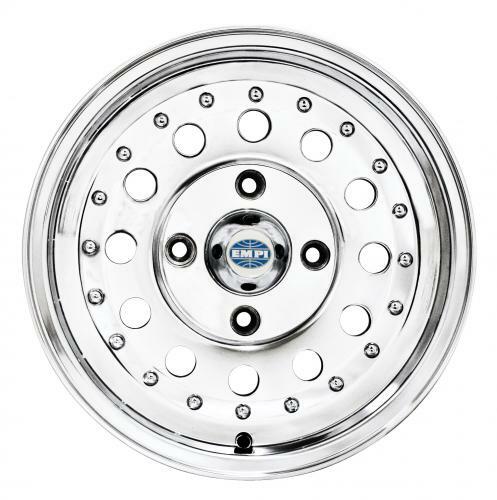 There are already numerous manufacturers over the years that the clean lines of this rim trying to break through, EMPI as a pioneer on rims area is well managed with the release of the Revolver rim. The Revolver rim is nothing more than the Smoothie with 12 holes, displays the clean lines broken and there is a totally different rim created while retaining the exclusive appearance. 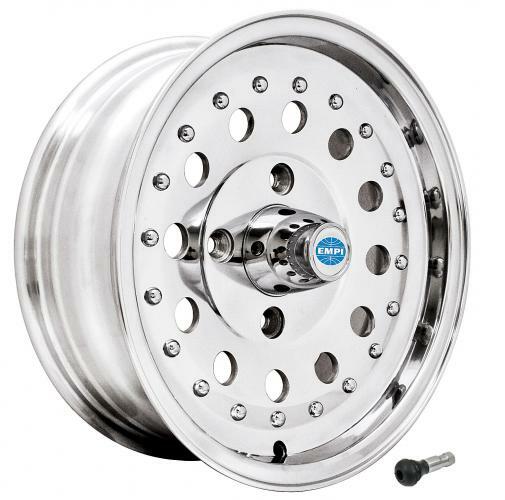 Both rims are being supplied with chromed plastic hub Cap and chrome plated valve.